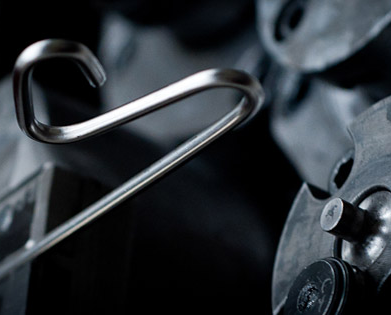 Gordon Products are manufacturers of CNC wire forms, wire bending, wirework and all kinds of wire fabrications and wire assemblies in diameters from 1-12 mm. Materials worked include wire in bright mild steel, pre-galvanised, high carbon, high tensile, spring, 302, 304 and 316 stainless steel, copper and phosphor bronze. 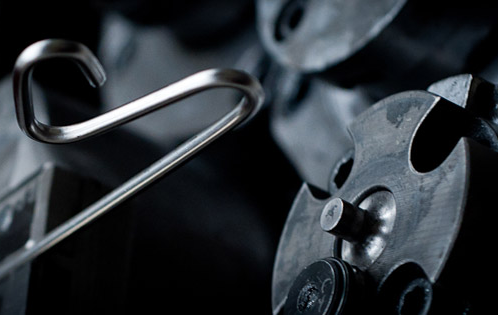 Whether you have a drawing, sketch, sample or just the beginnings of an idea, we can offer you a full range of manufacturing services from product development input, sample production, small batch runs, or large volume manufacture. Individual components can be built up into welded assemblies and a range of finishes offered such as powder coating, plastic coating, anodising, electro-polishing, zinc plating and hot-dip galvanising. Examples of wire forms and other metal components manufactured include, clips, coiled parts, display stands, fittings and fixings, hooks, baskets and welded wire fabricated assemblies, whilst industry sectors supplied are as diverse as agriculture, automotive, cable management, construction, display, electronics, engineering, furniture, garden, healthcare, horticulture, Industrial, Insulation, leisure, medical and pre-cast concrete, and retail.